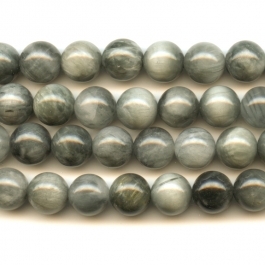 Cats Eye beads will bring the romance of a foggy night to your jewelry making. 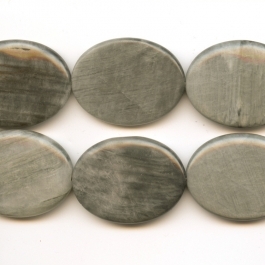 This grey-shaded gemstone is among the most famous forms of chrysoberyl. 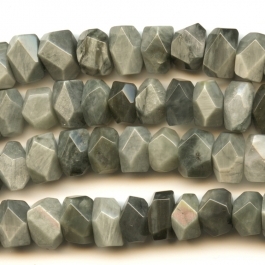 Chrysoberyl gems are only surpassed by corundum and diamond in their hardness and brilliance, making them suitable for any type of jewelry making. 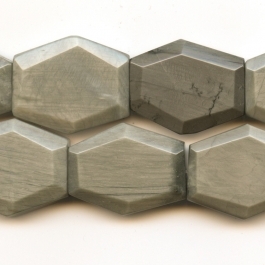 The name chrysoberyl is derived from the Greek "golden beryl;" but despite the similarity of their names, chrysoberyl and beryl are two completely different gemstones. 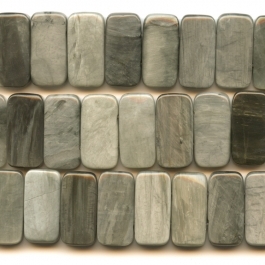 Although mined around the globe, these Cats Eye beads originate in Madagascar, all formed from natural stone. 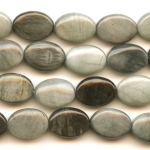 Cats Eye beads, with their distinctive earthy shades, are available in a large number of sizes and shapes. 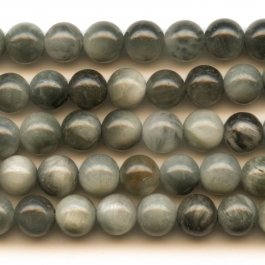 We are excited to introduce our many new, highest quality beads — including the striking and unique cats eye. 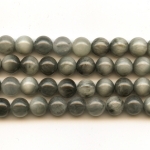 Be sure to visit our amazing selection of cabochons, as they partner perfectly with our beads. We also have an enormous variety of gold and silver wire that you're sure to love. Here at Wire-Sculpture if you need it, we have it. Get creative!